Having a 360-degree view of marketing insights is an important factor in B2C core, and the American Kennel Club (AKC), one of the best known purebred dog registries, wanted to optimize those insights. To do so, they needed to move their customer purchase information from their eCommerce platform (Shopify) into Marketo. But they struggled to find an integration that could move all line items and customer objects into Marketo. They needed a platform that was affordable and quick to deploy but still powerful enough to move customer objects. The AKC created a Workato recipe between Shopify and Marketo, which helped move all new purchases along with all relevant information into Marketo. This integration provides a clear view of their customers’ purchase histories, enabling enhanced reporting. It also allows AKC to use Marketo as their workflow hub, instead of a CRM. Now AKC can measure their marketing campaigns by calculating their actual revenue earned, rather than clicks. Workato provided a flexible, fast, no-code platform — without compromising on power or potential complexity. 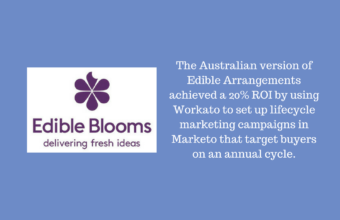 “Workato’s Shopify-Marketo integration makes it possible to measure the full impact of our marketing campaigns without a CRM. That’s a huge step forward, and Workato made the configuration easy for our team,” said Elihn Glass, Senior Manager of eCommerce.